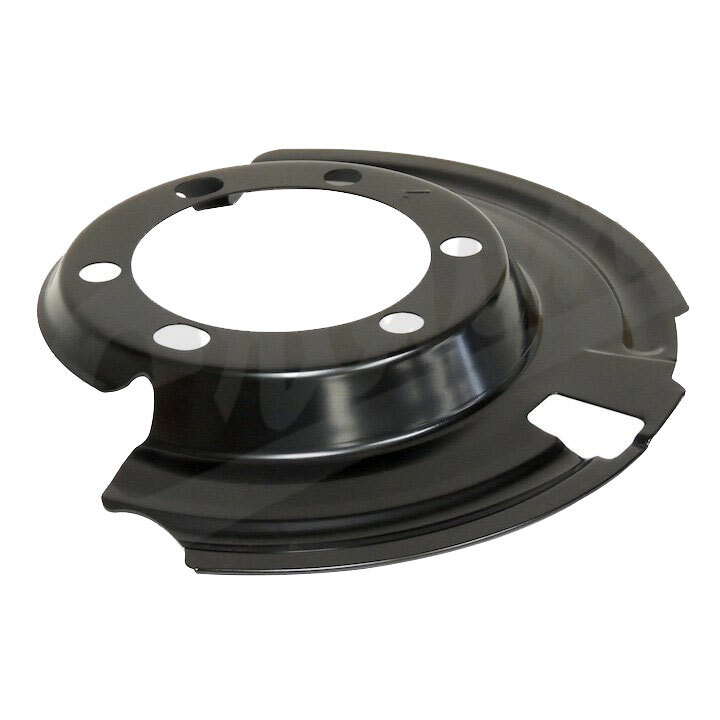 Your Jeeps brakes parts need to be in perfect condition and working properly to ensure overall safety. 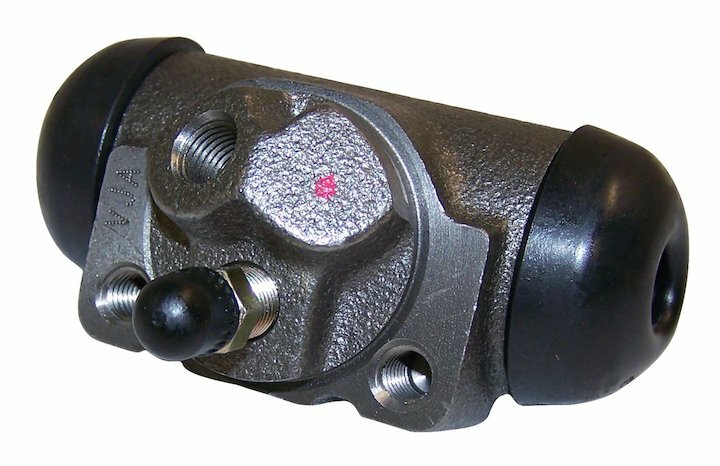 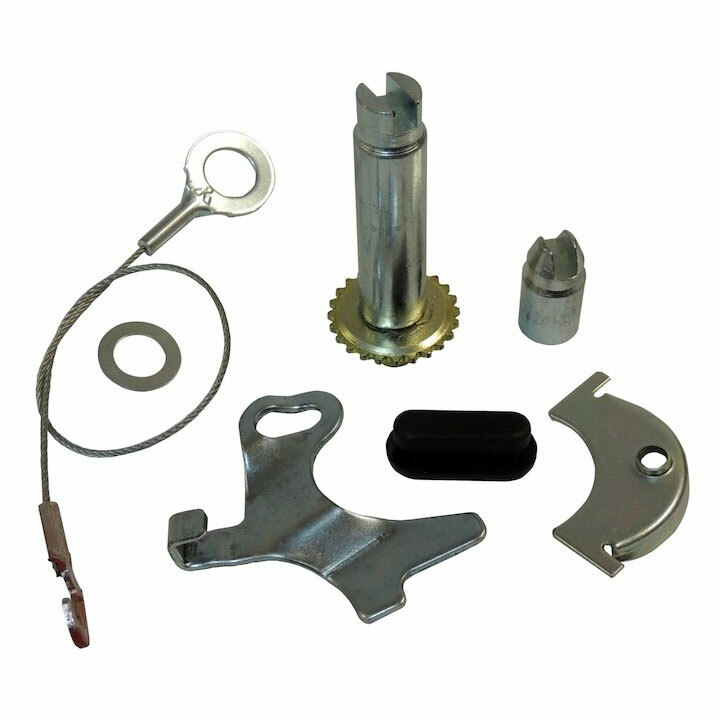 Having worn out or defective brake components jeopardize your ability to stop or slow down when needed. 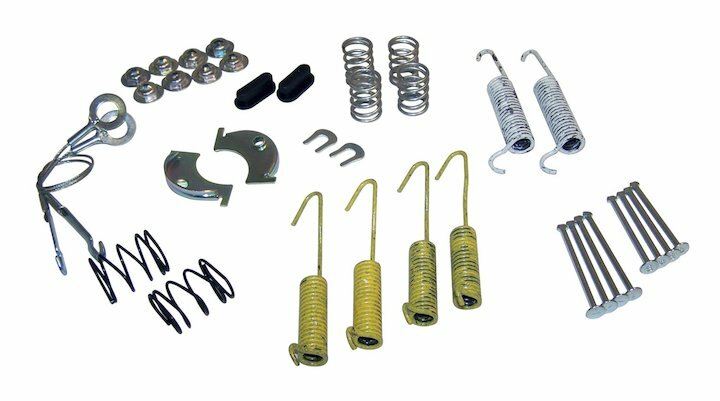 Jeep Brake parts come in many different variations such as brake rotors, brake calipers, brake drums, brake lines, brake power boosters, and much more – all of which you will be able to find on this page. 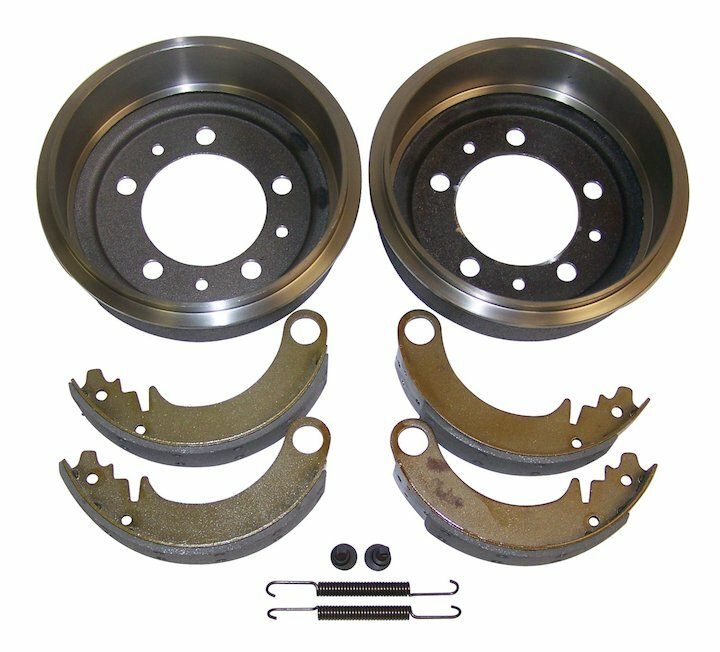 With brakes needing frequent attention, we have the brakes parts you need to ensure that the adventures you have with your Jeep remain safe and tons of fun. 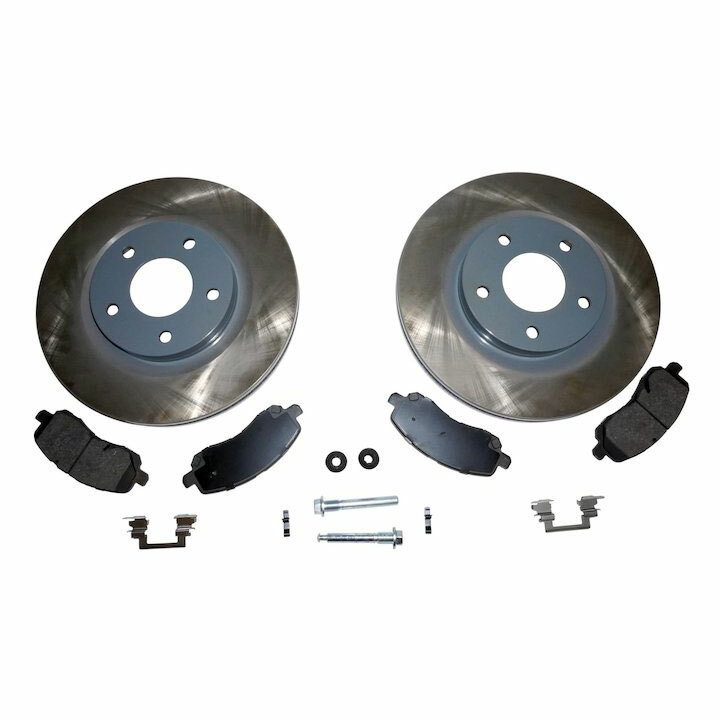 To get the brakes parts you need, click below on the desired product and let us take over. 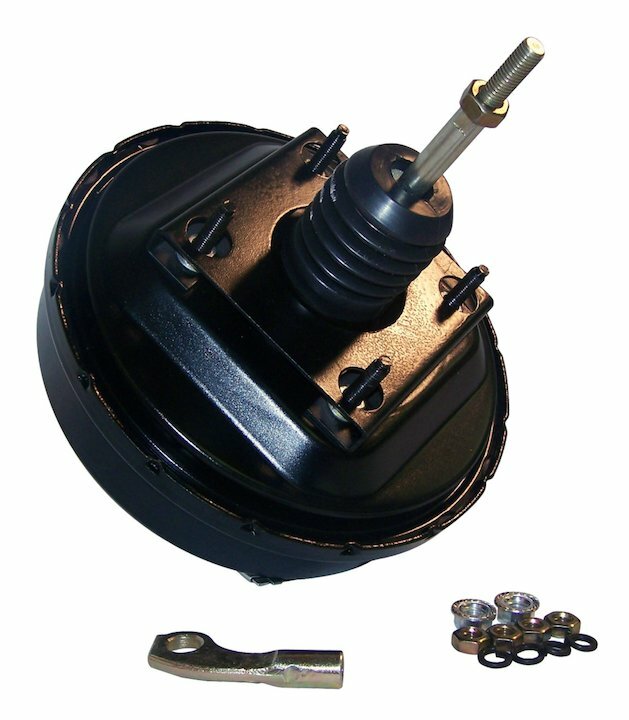 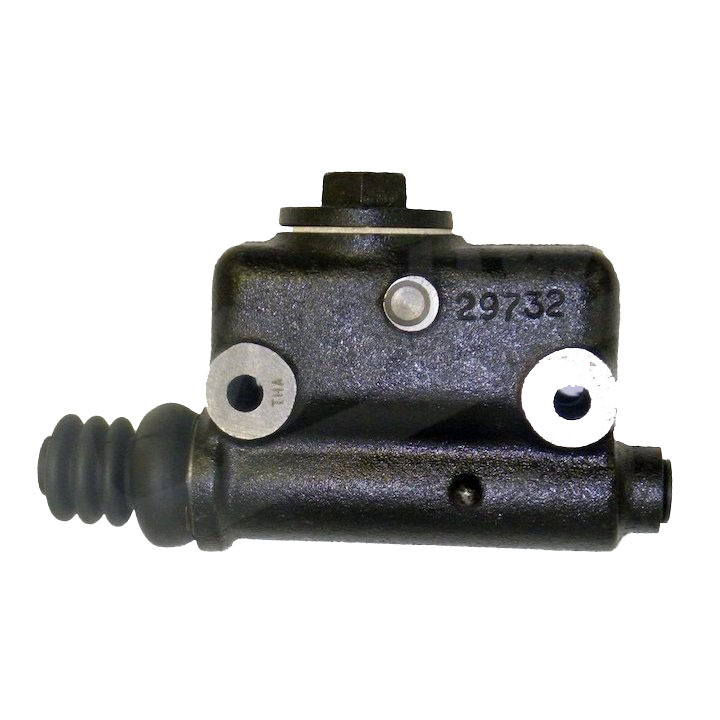 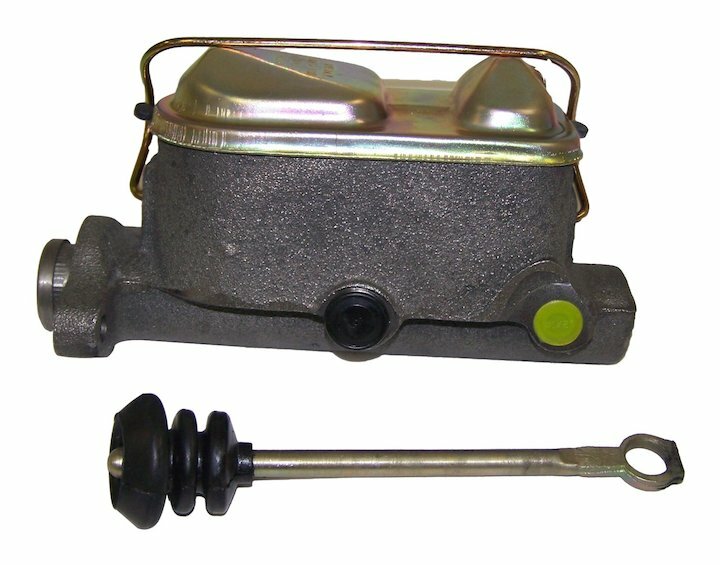 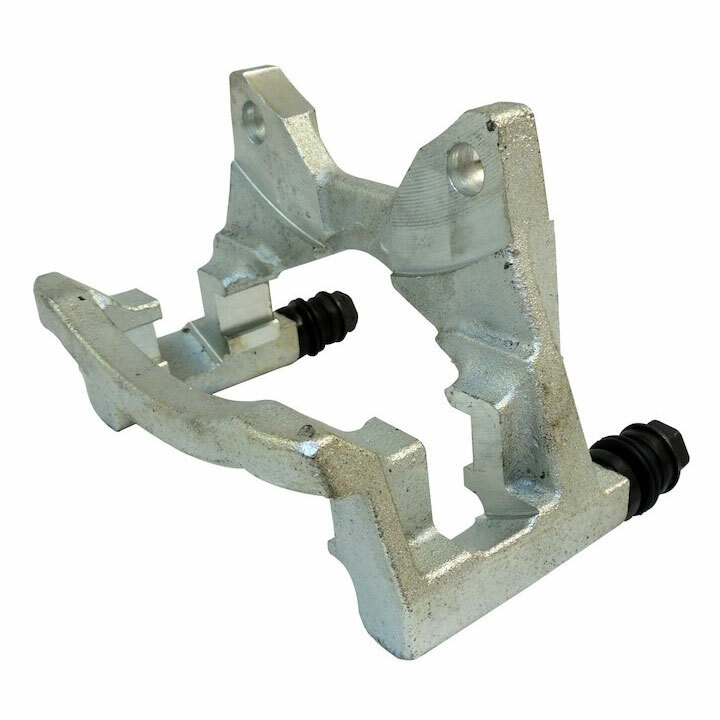 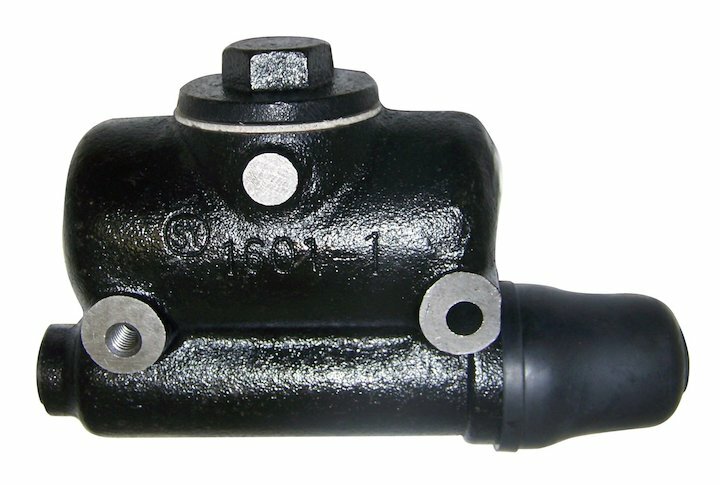 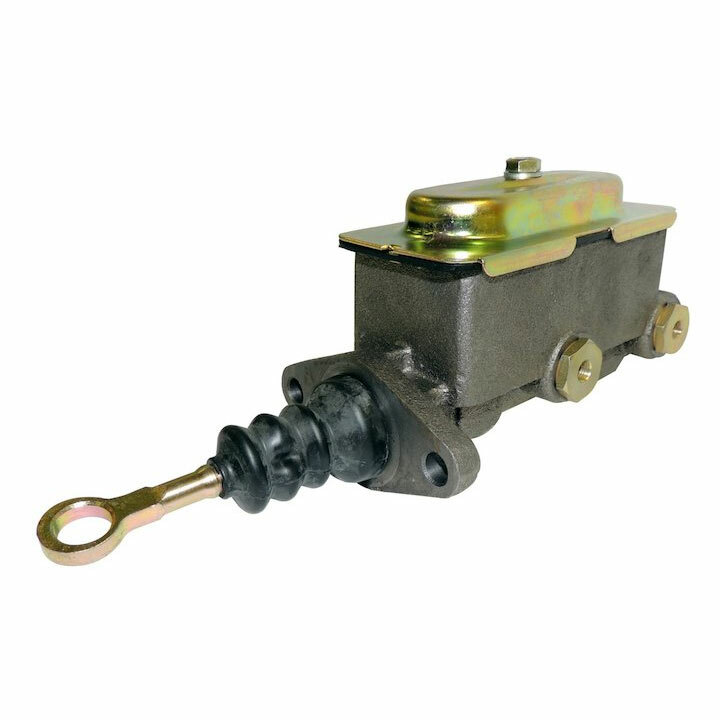 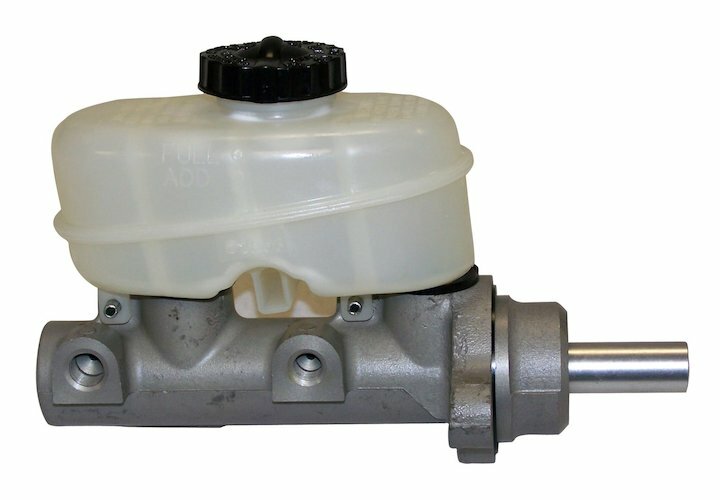 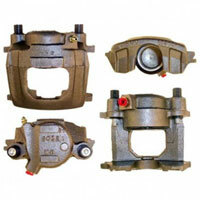 Explore our selection of high-quality Replacement Jeep Brake Parts. 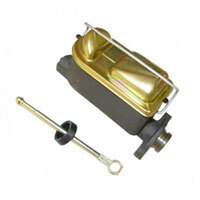 All products listed here are of high quality and guaranteed to meet or exceed factory OEM replacement Jeep brake parts. 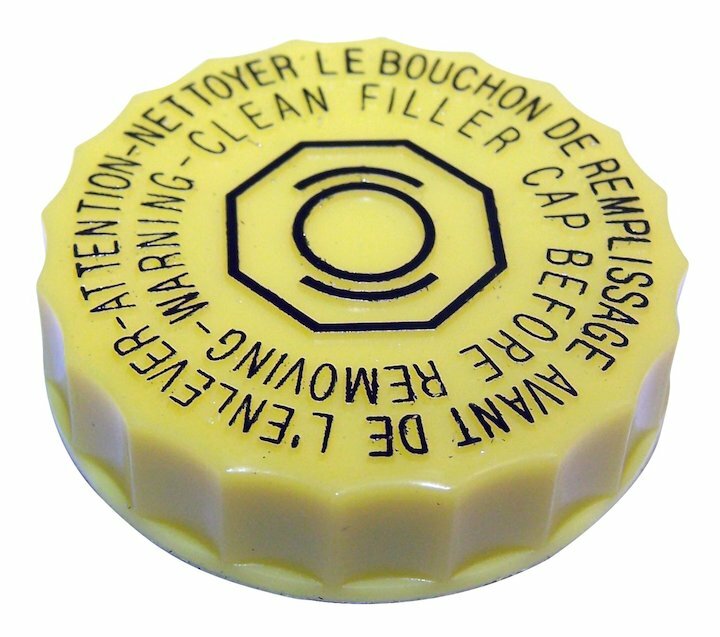 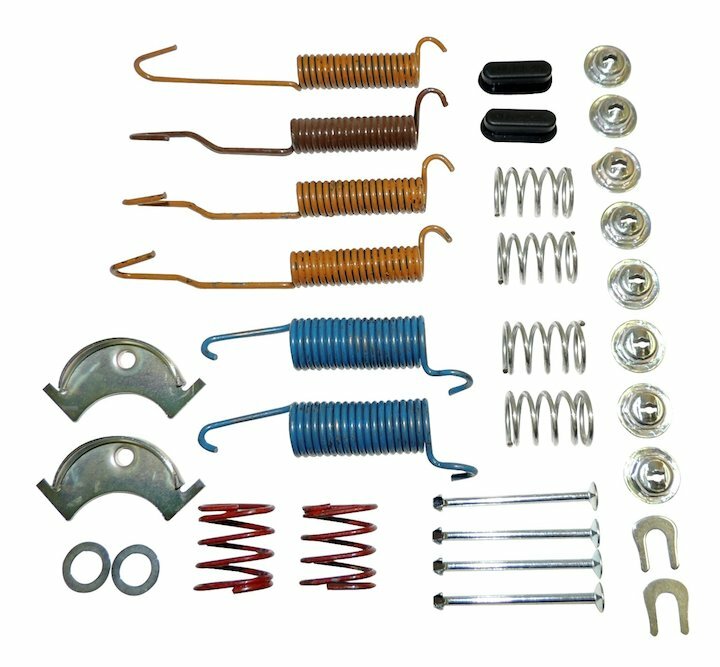 You can shop with confidence knowing that any item we sell on our online store comes with minimum 1-year manufacturer warranty, that means if you ever encounter a problem simply contact us and we will help you get the replacement under warranty. 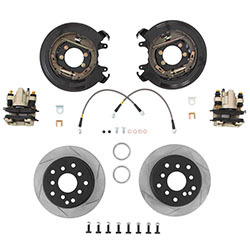 Jeep brake components like brake rotors, pads, brake hoses are fairly simple to replace, especially if you had the chance to do it few times. 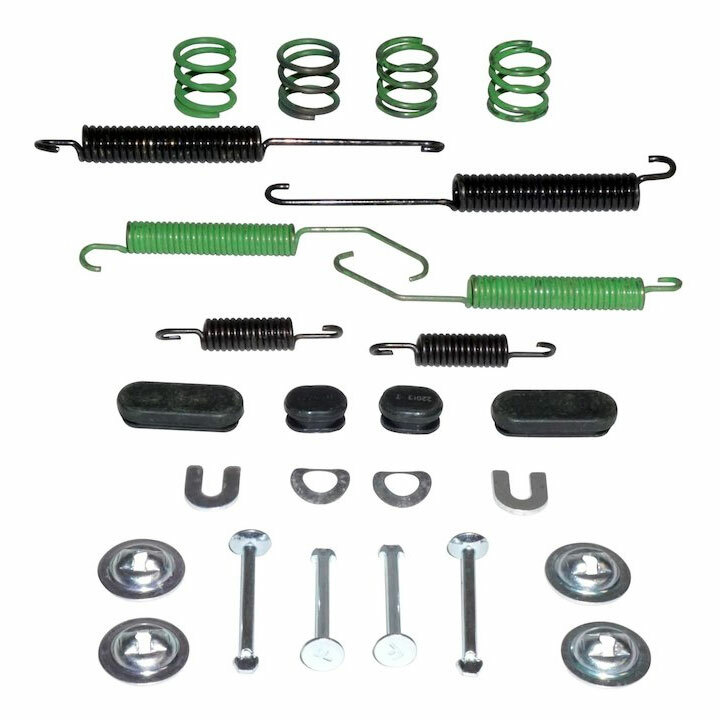 Just like oil change replacing Jeep brake parts as do-it-yourself project will help you save high labor cost if you had to take your Jeep to a local garage. 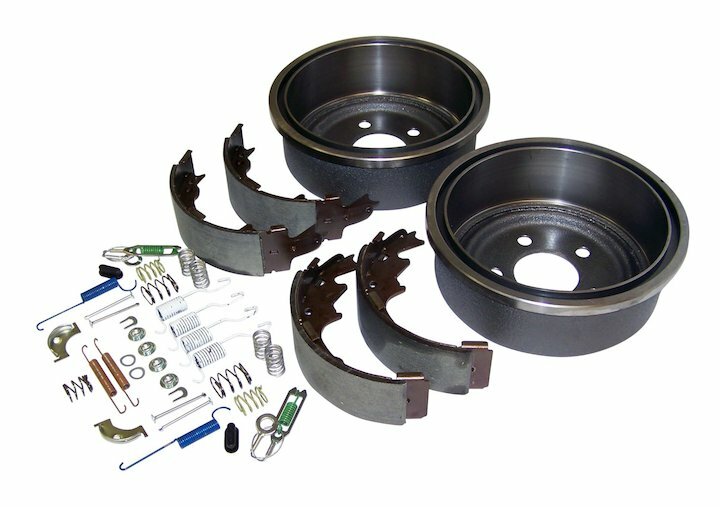 Before taking on any project make sure you have the right tools, second set of hands and all the necessary safety gears. 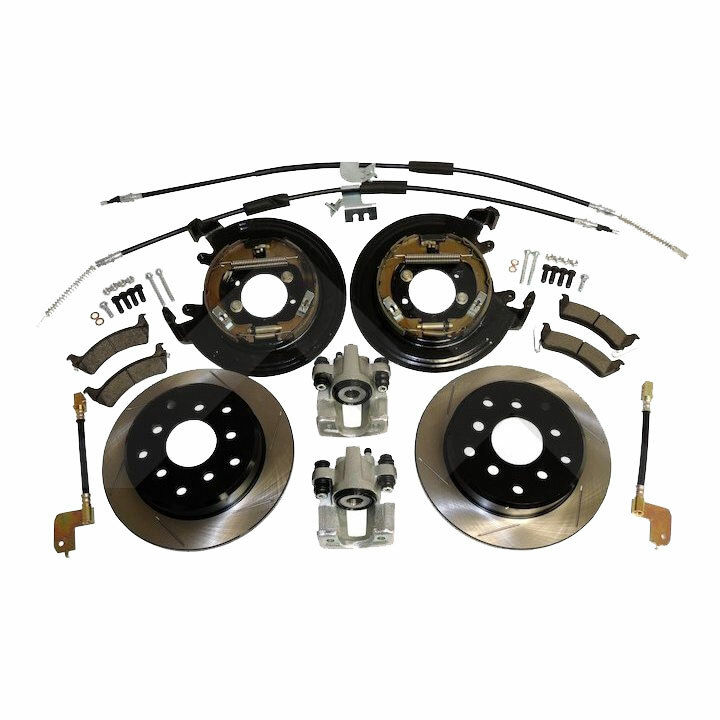 If you prefer to keep your hands clean then leave the work to the professionals who can diagnosed and fixed to get you back on the road in no time. 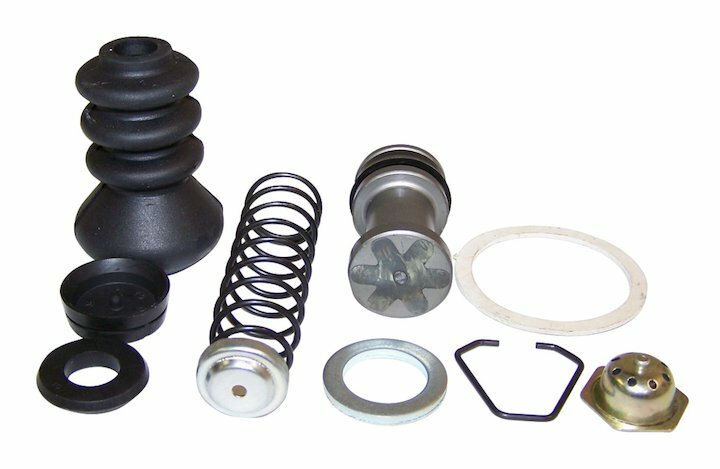 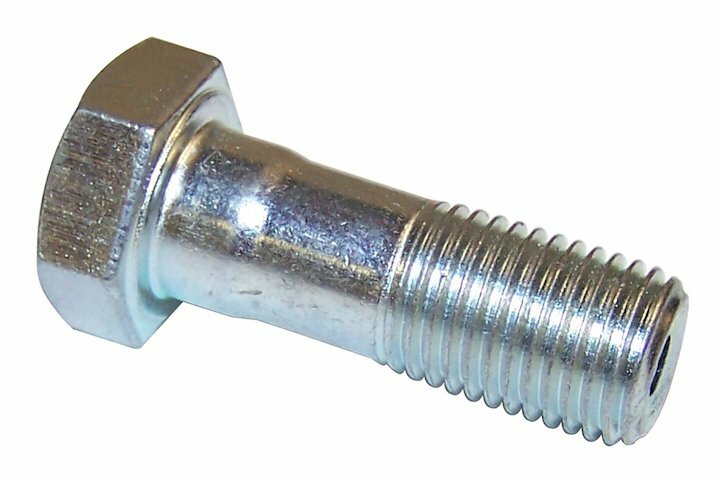 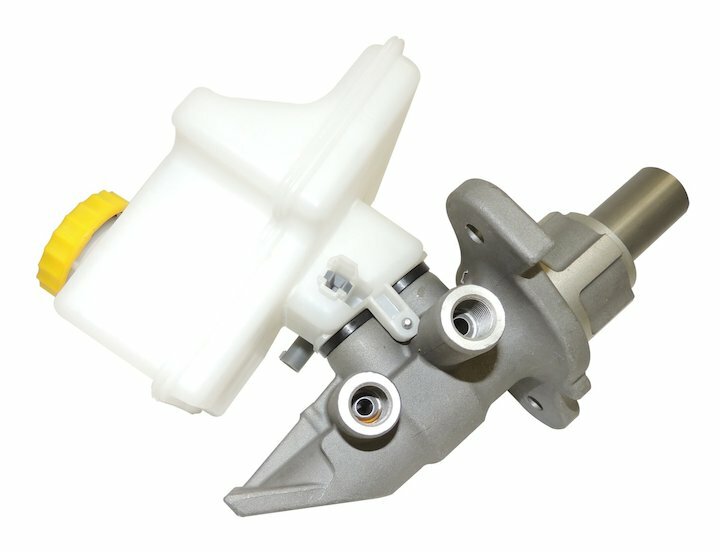 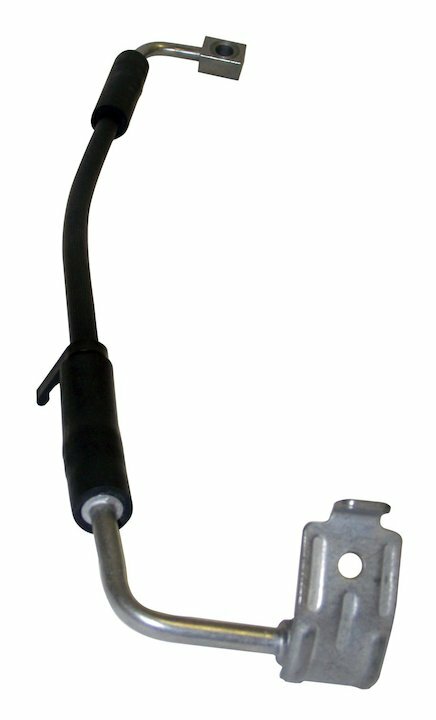 ShopJeepParts.com has all the replacement parts you need to get the job done. 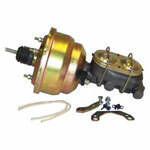 Our online Jeep parts store has a great selection of brake parts for Jeep models ranging from 1941 to current years. 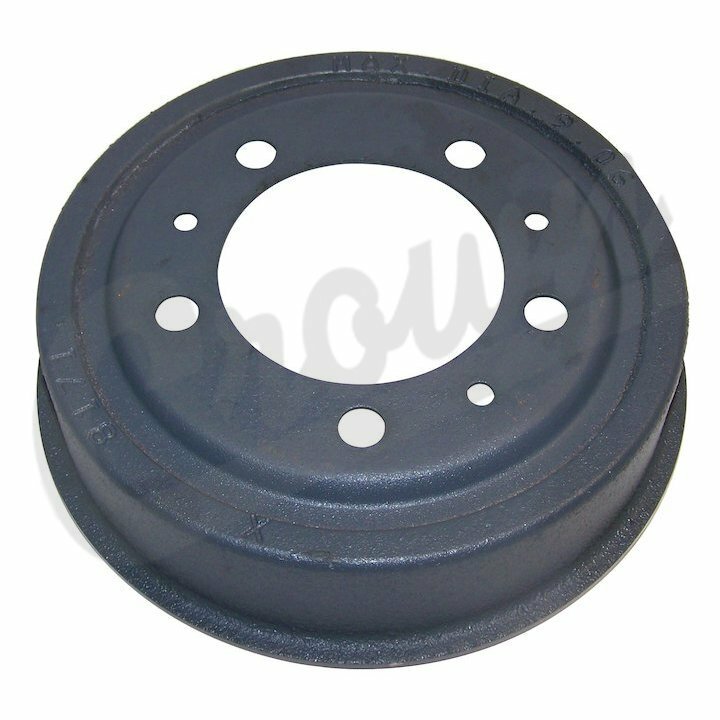 So whether you are looking for a 1955 Jeep CJ5 brake parts or 2017 Jeep Wrangler brake parts you will find it find it here. 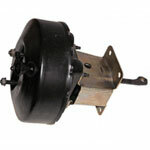 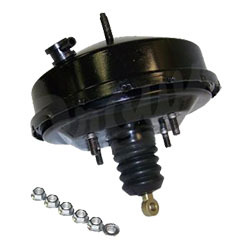 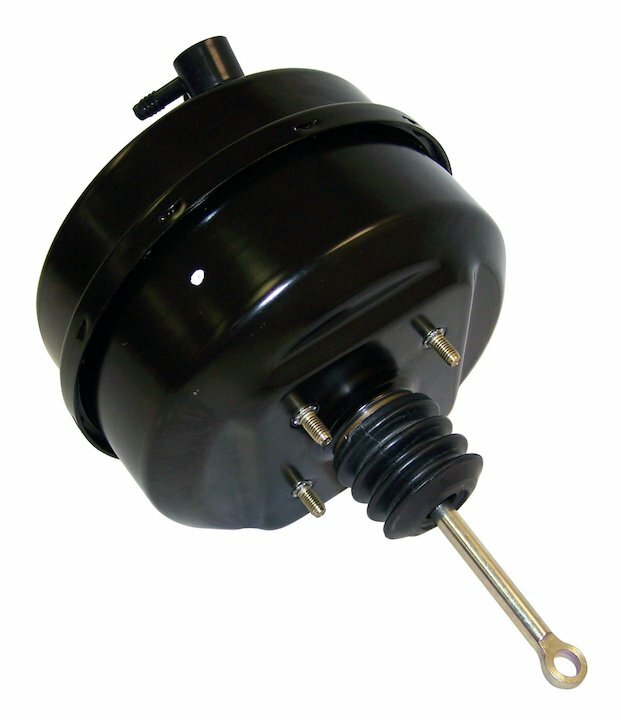 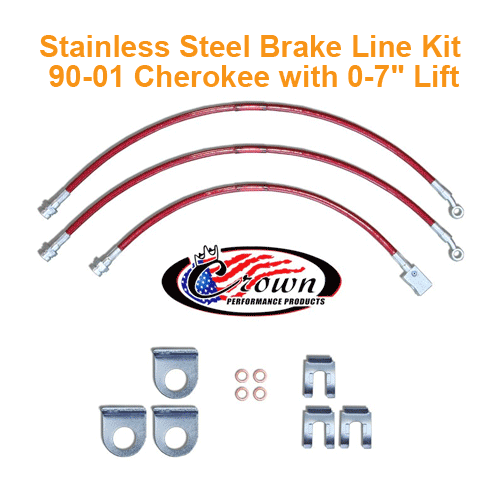 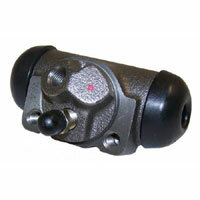 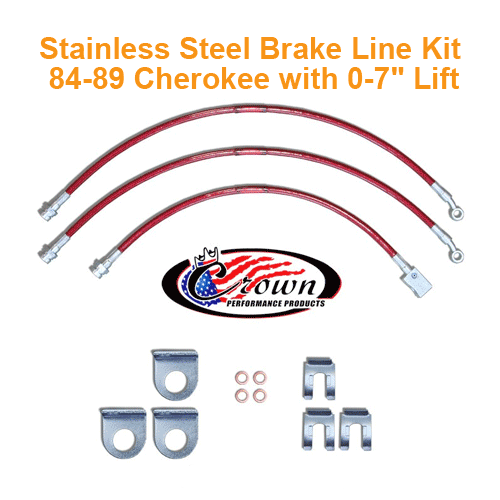 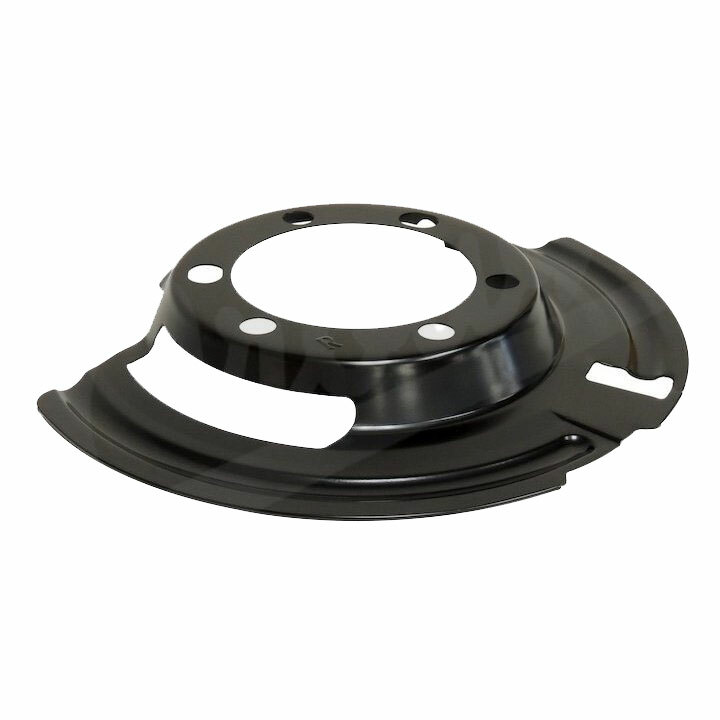 We also carry large selection of Jeep Cherokee Brake parts for every day low prices. 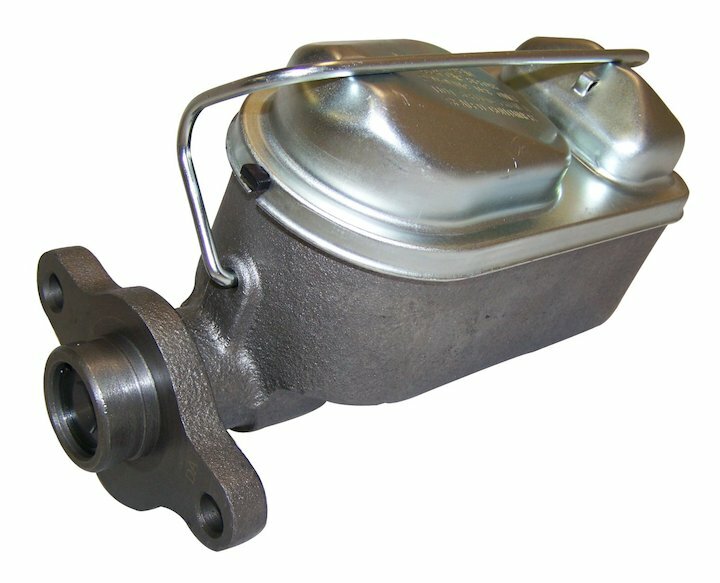 If you hear squealing brakes often times this is a good indication that there is a problem. 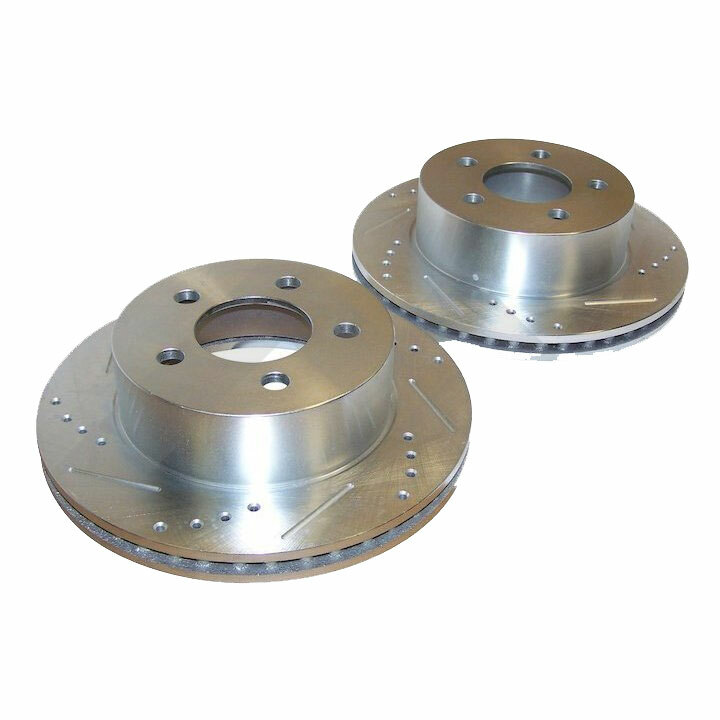 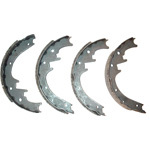 Grinding noise from brakes could mean brake pads or rotors need replacement which needs to be addressed before it becomes dangerous to drive your vehicle on the road. 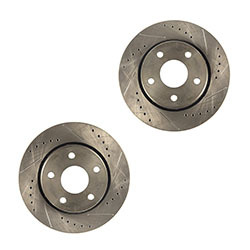 If you catch this type of problem early simply replacing the brake pads and having the rotors machined could get you back on the road in no time. 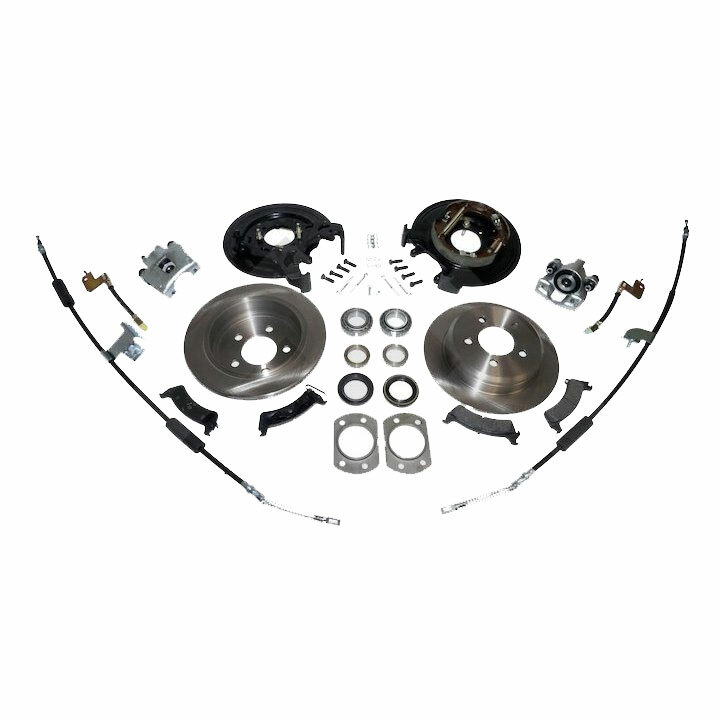 If ignored for too long, then rotors will have to be replacement and could lead to issues with the master cylinder, brake lines, or brake calipers. 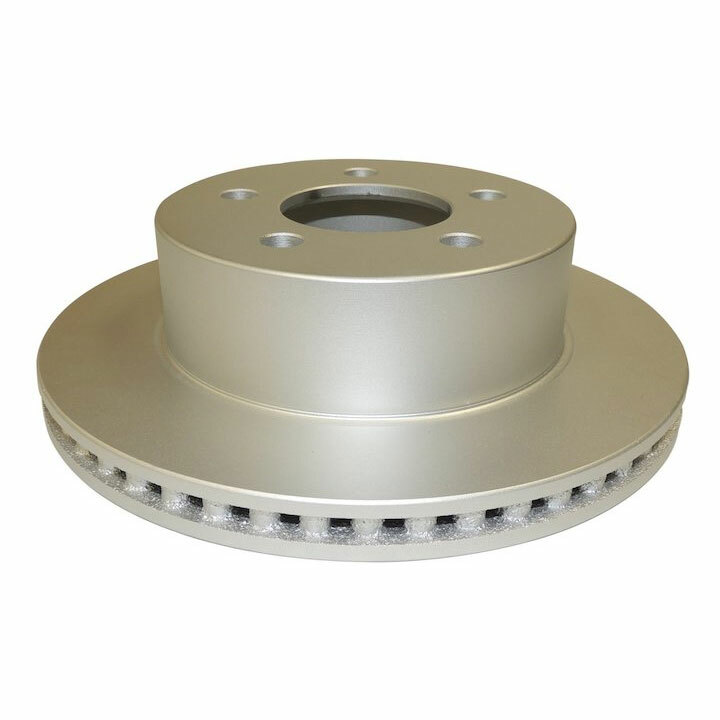 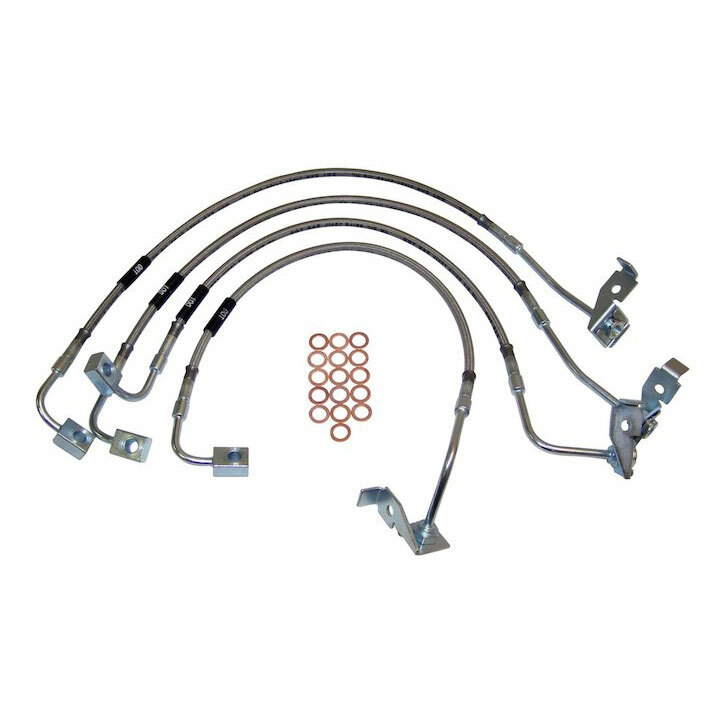 Whenever you drive your vehicle brakes matter, and for the safety of everyone in the vehicle make sure you use the absolute best brake accessories possible. 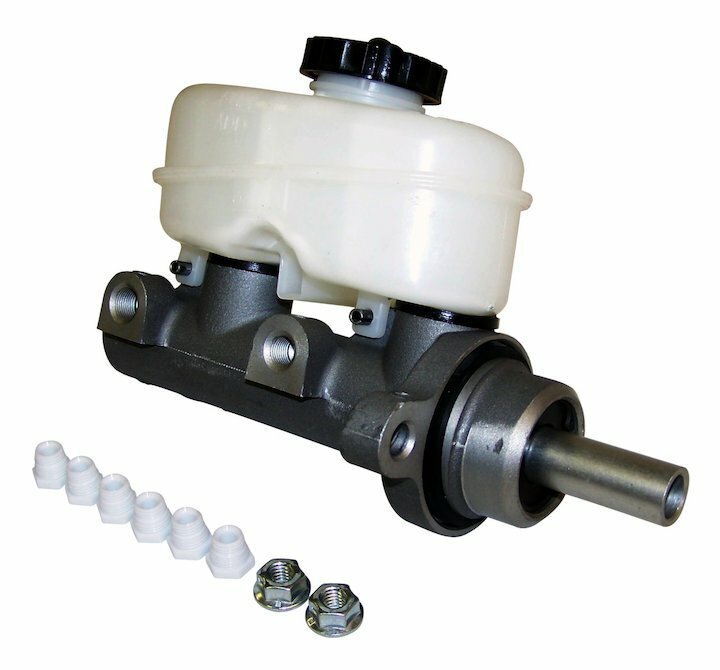 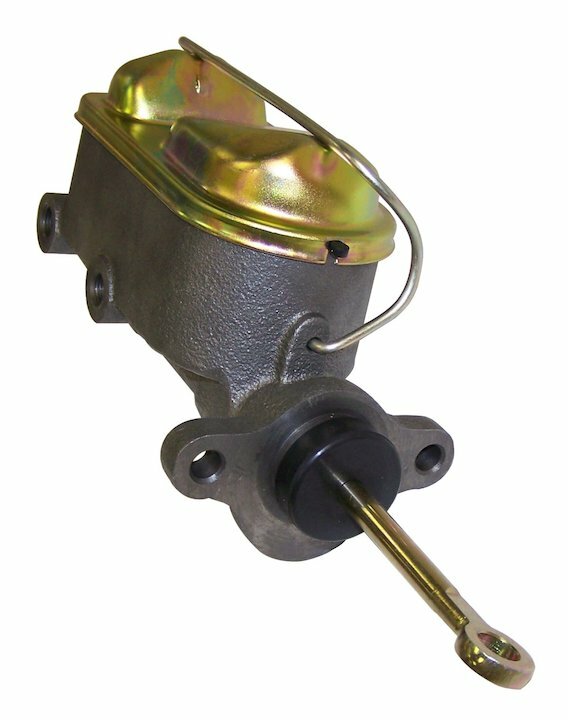 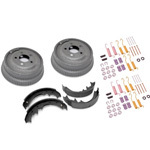 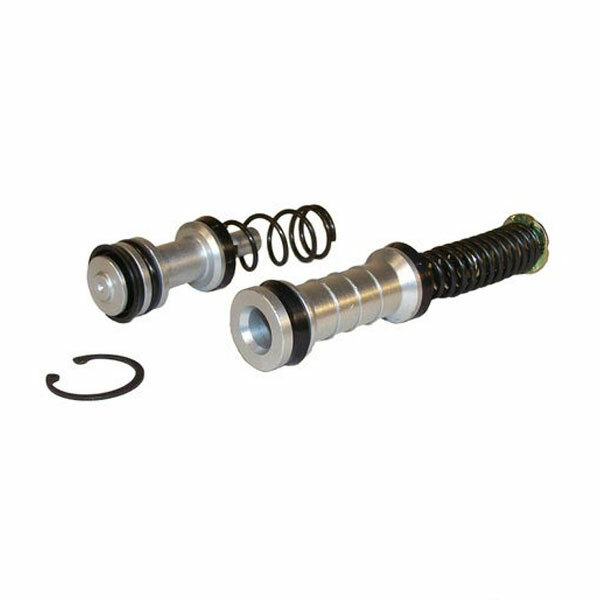 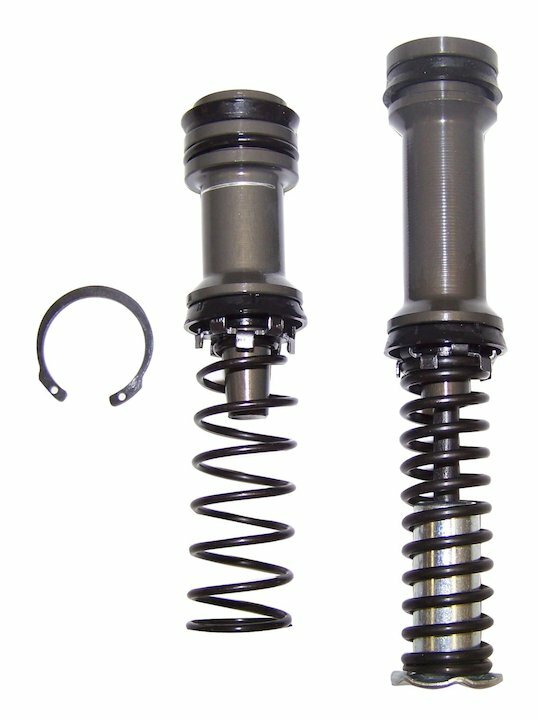 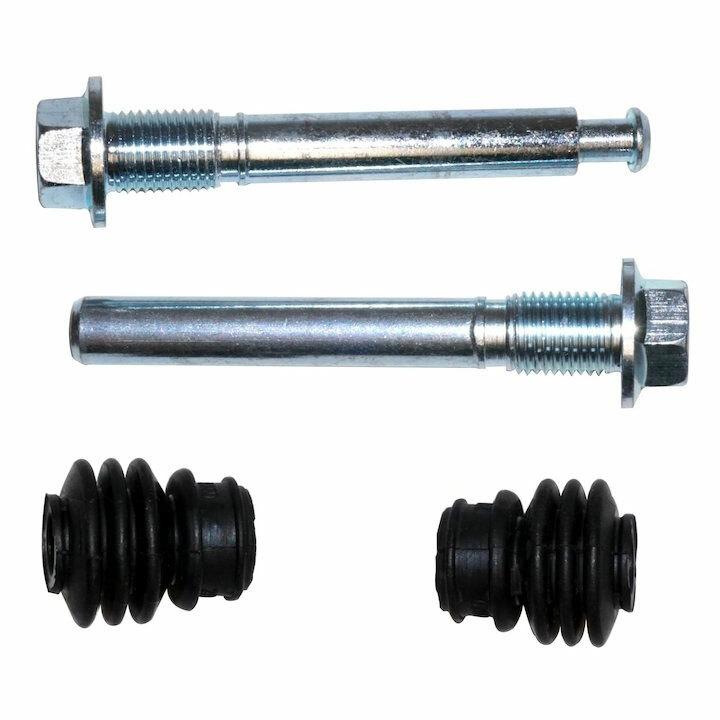 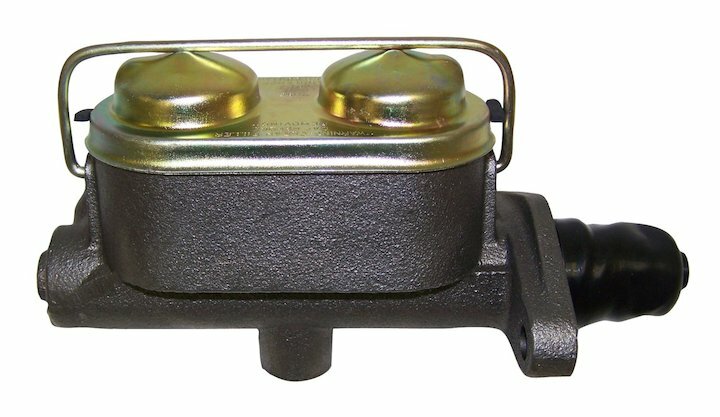 Shop at ShopJeepParts.com and get the best deal on quality Jeep brake parts. 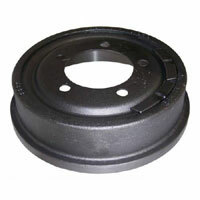 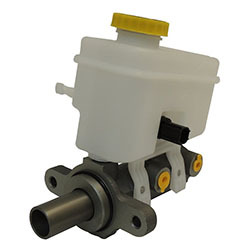 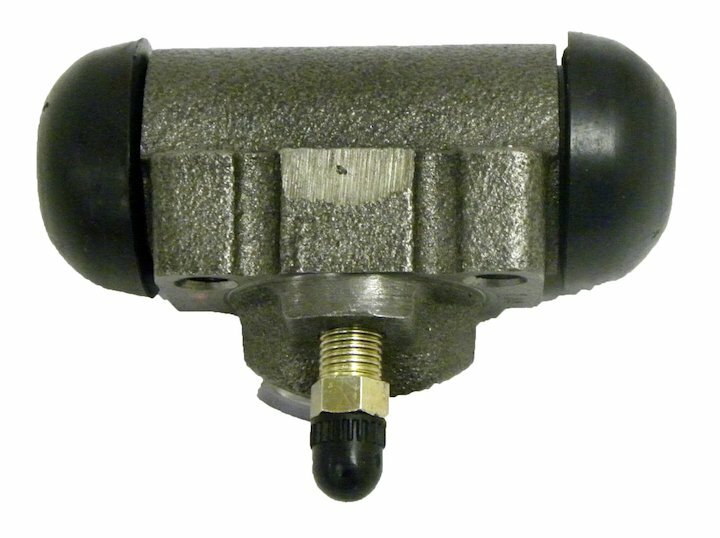 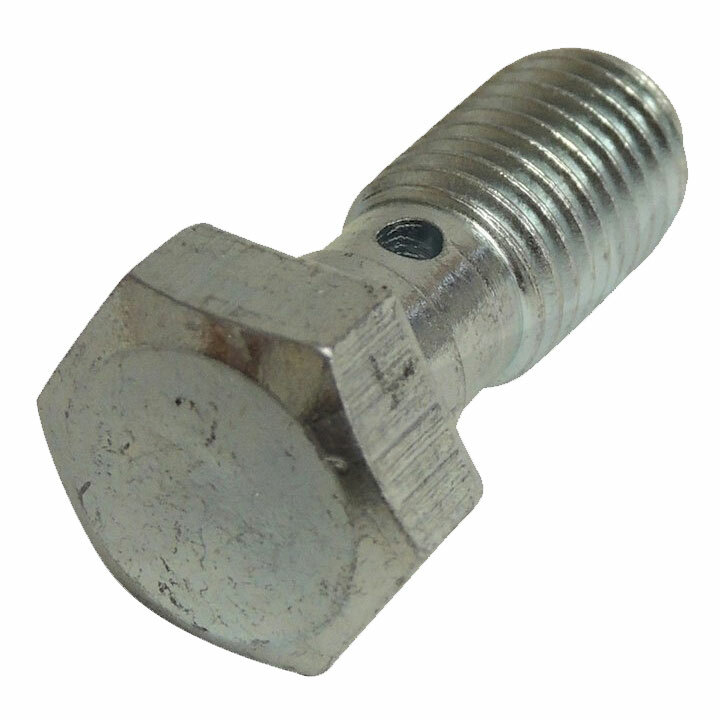 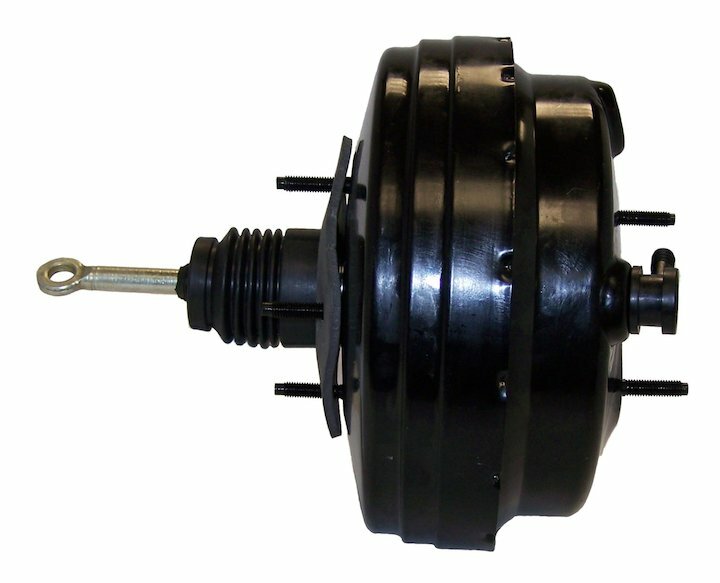 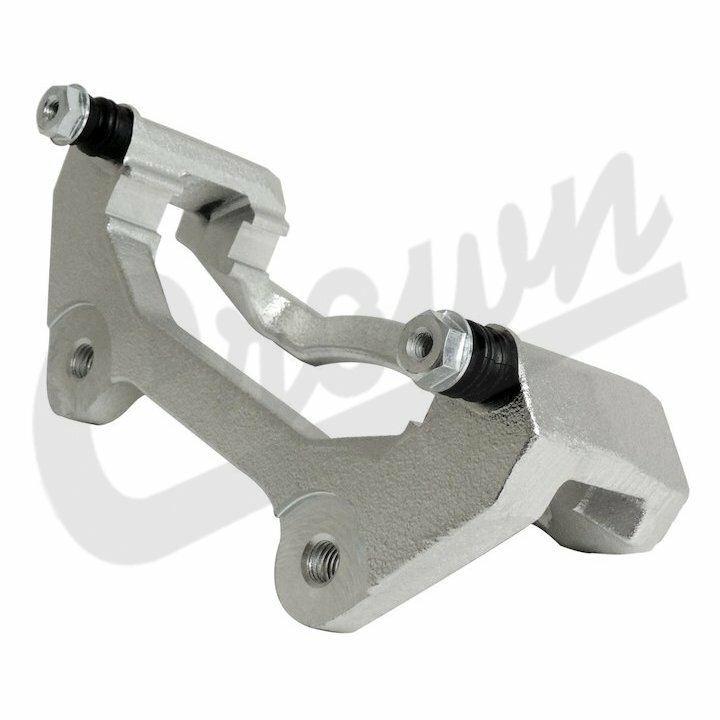 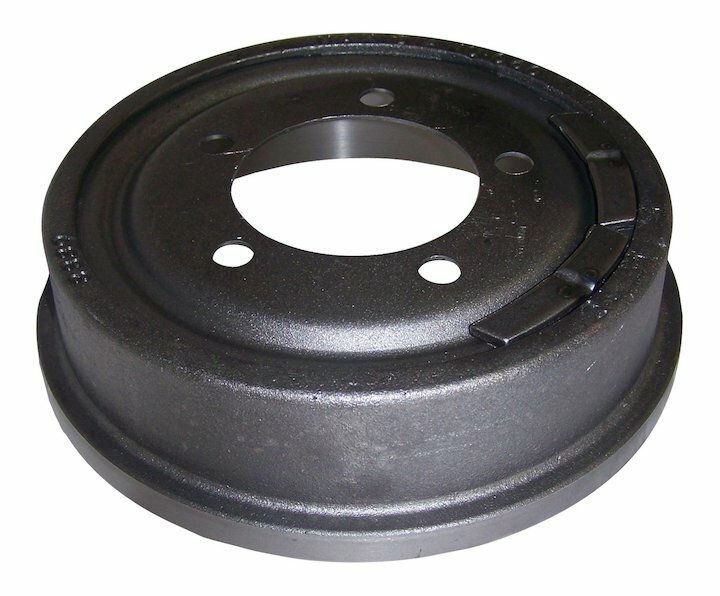 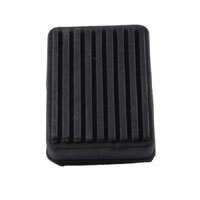 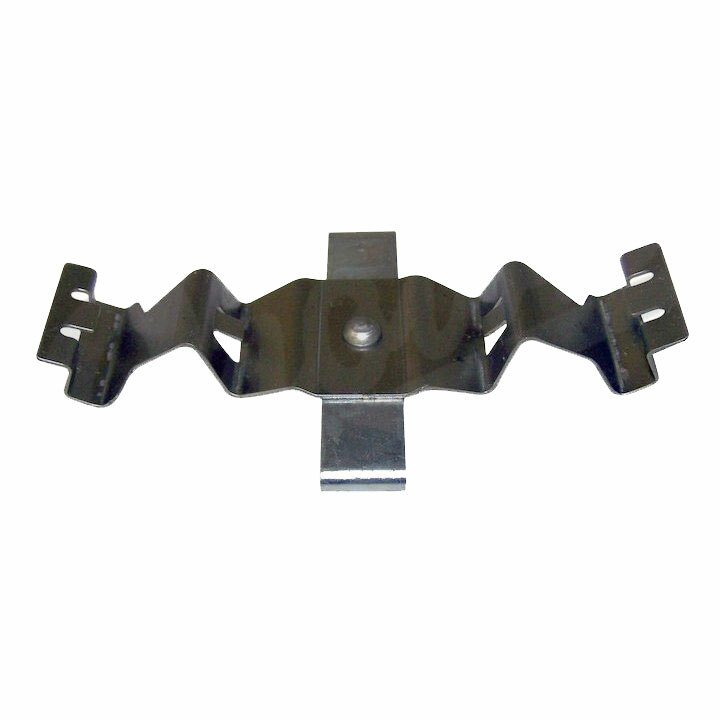 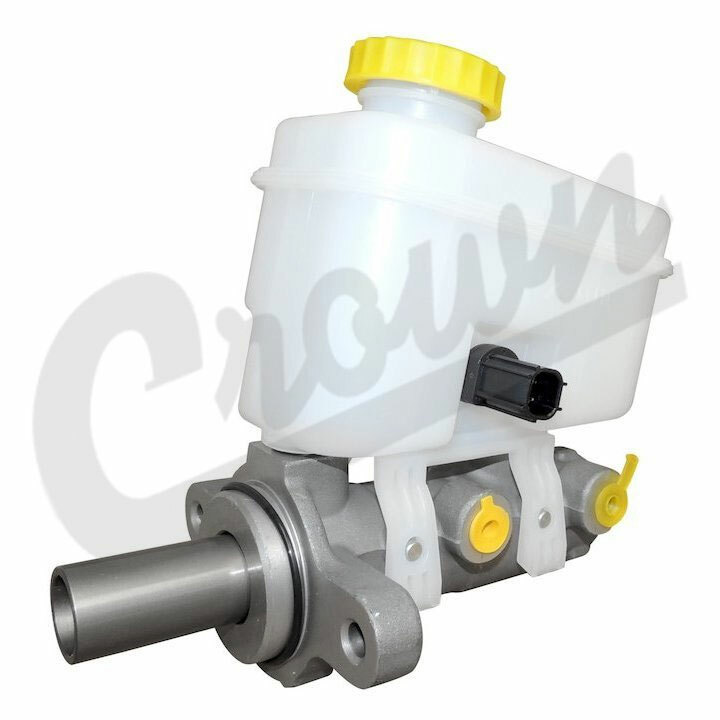 Our online store only sells replacement Jeep brake parts by Omix-Ada and Crown Automotive. 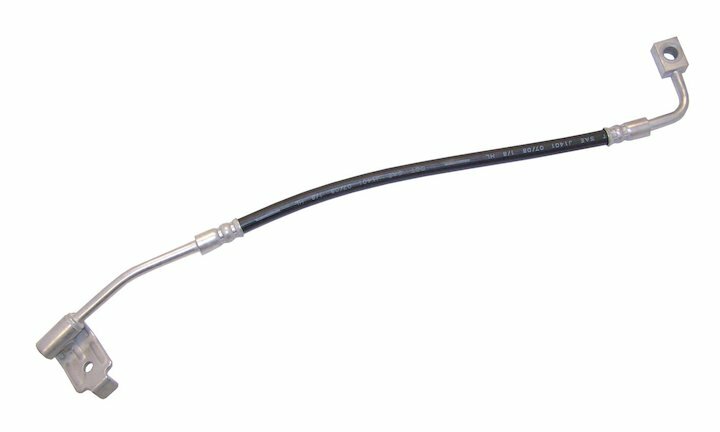 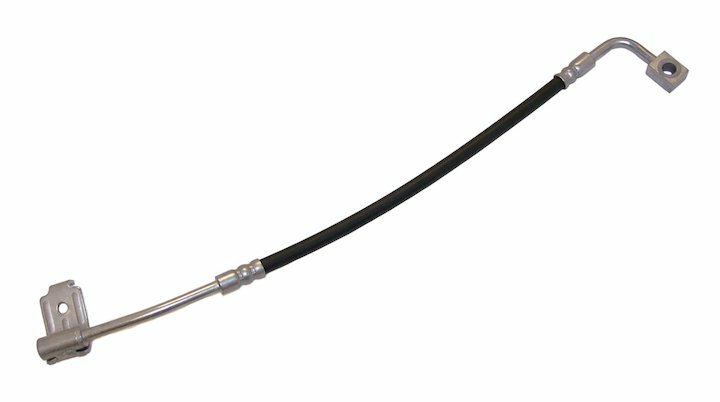 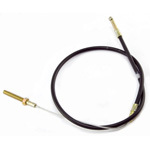 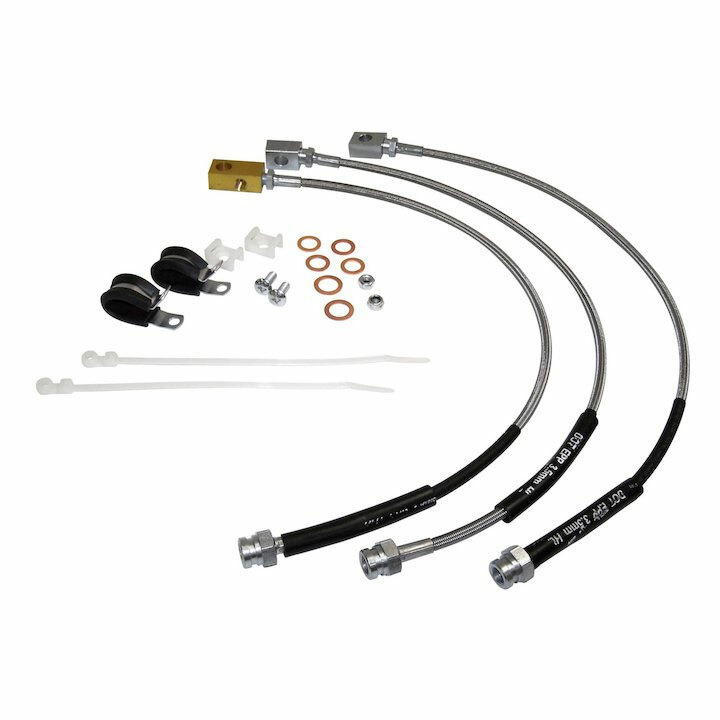 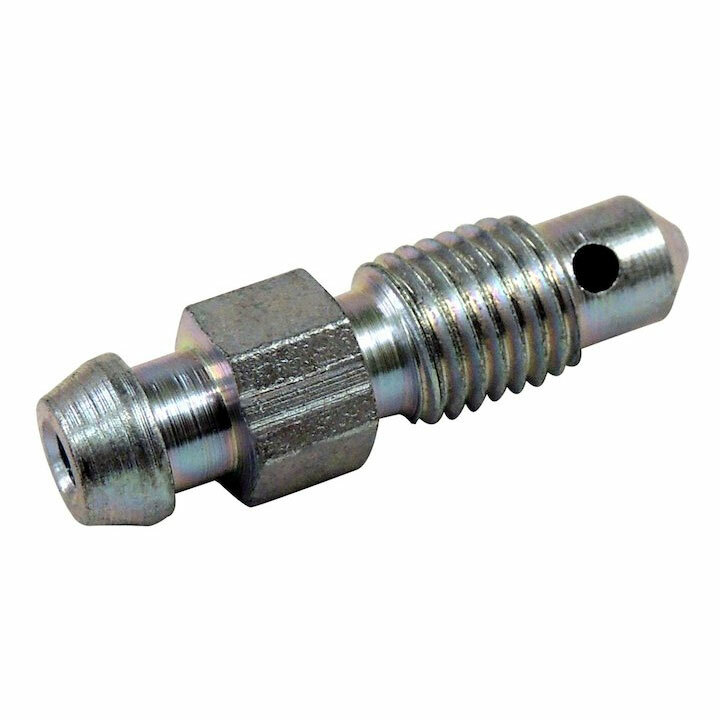 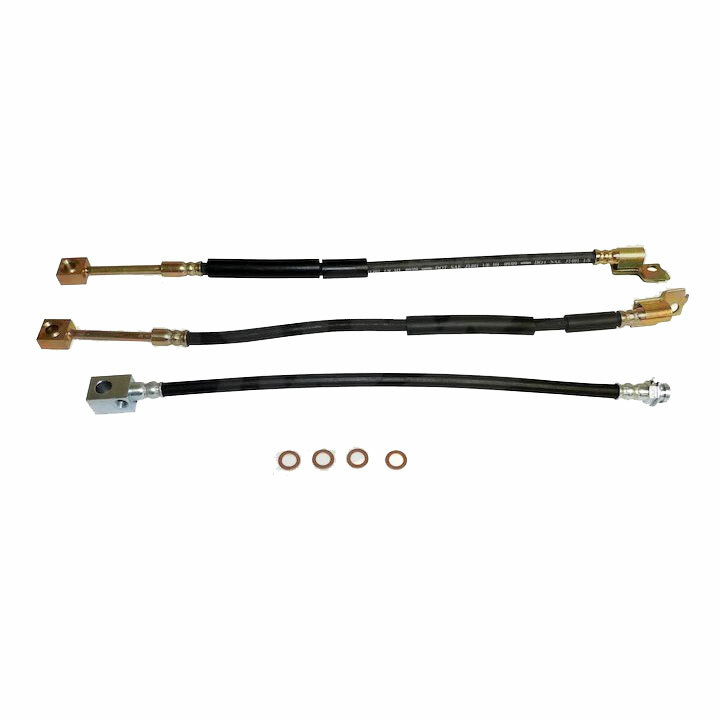 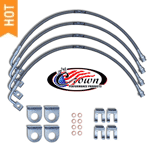 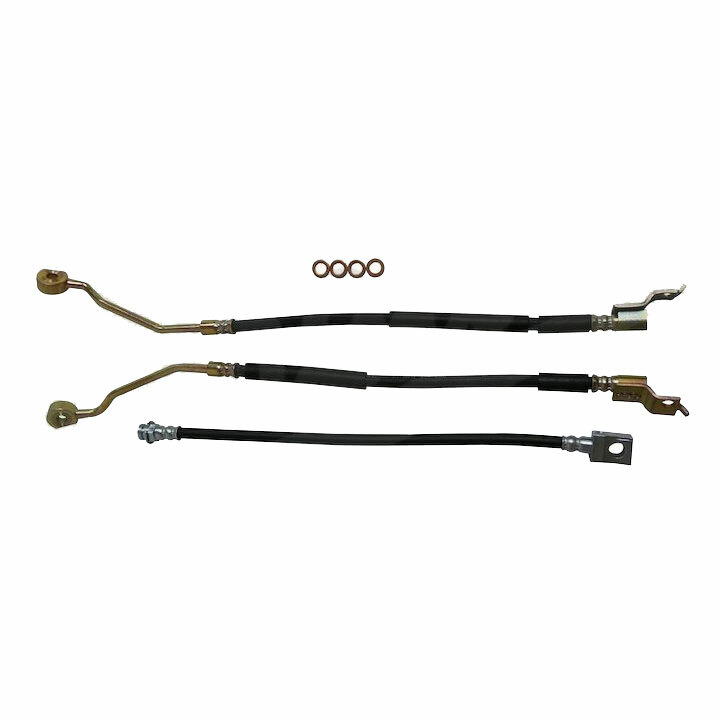 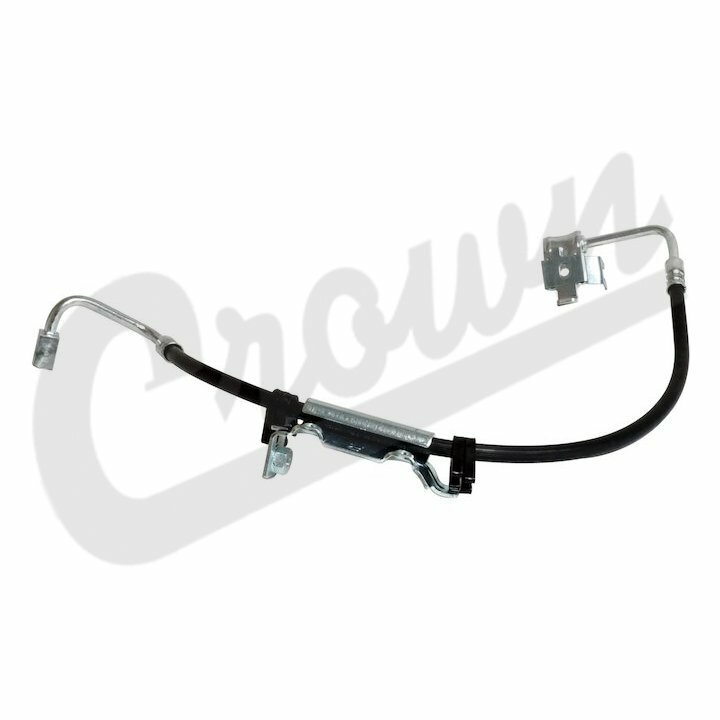 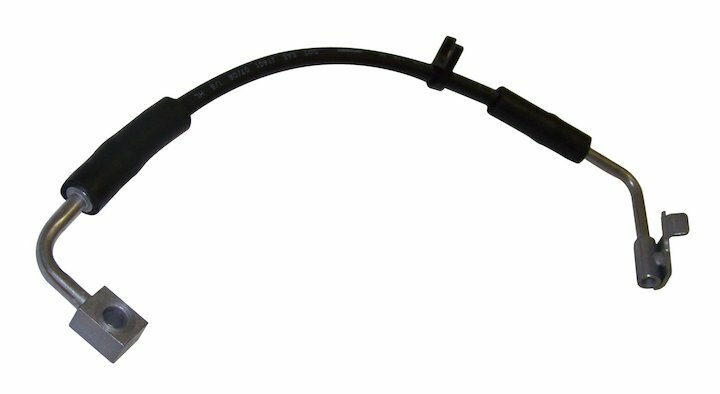 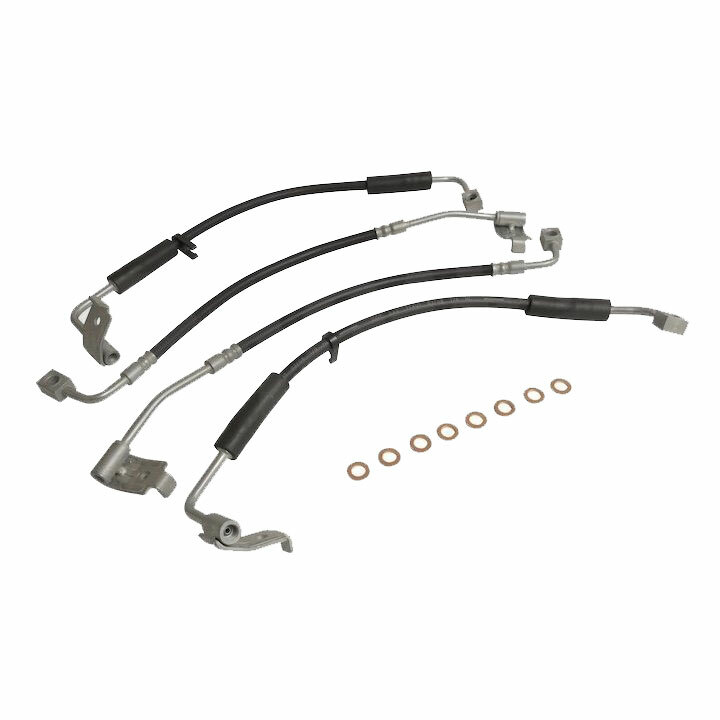 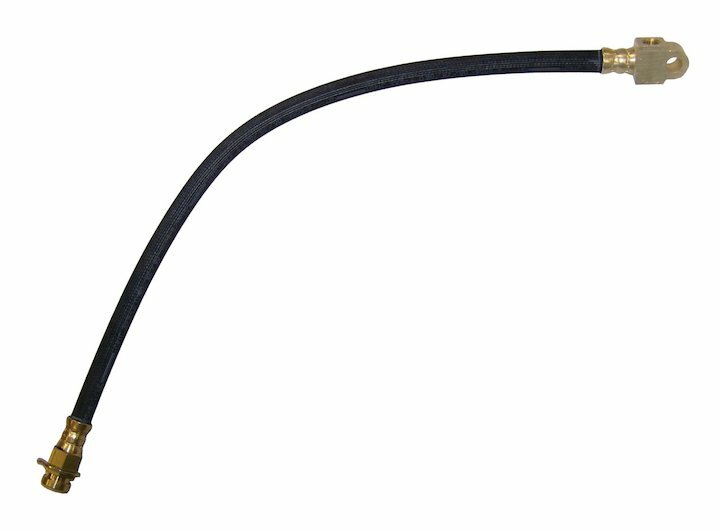 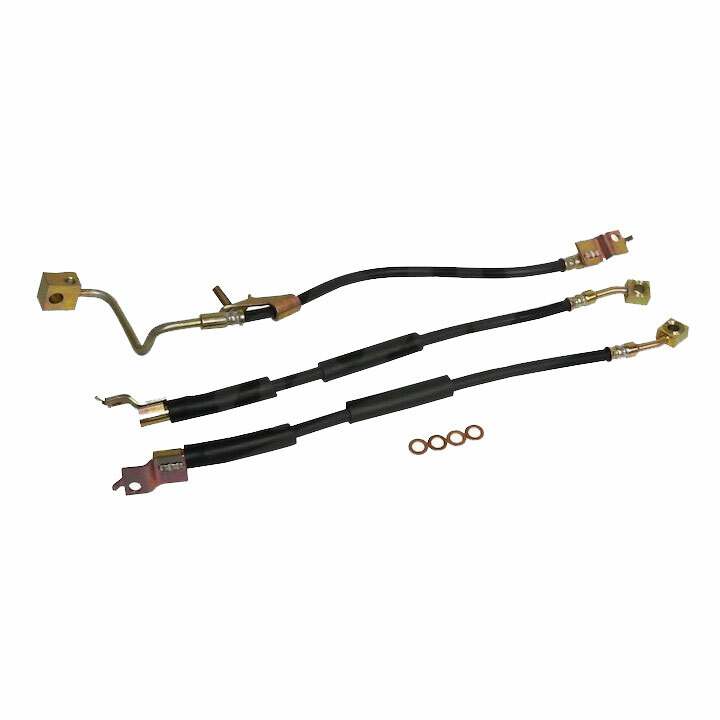 If you are looking for performance brake upgrades than RT Off-Road and high-quality brake hoses by Crown Performance are also available in our store. 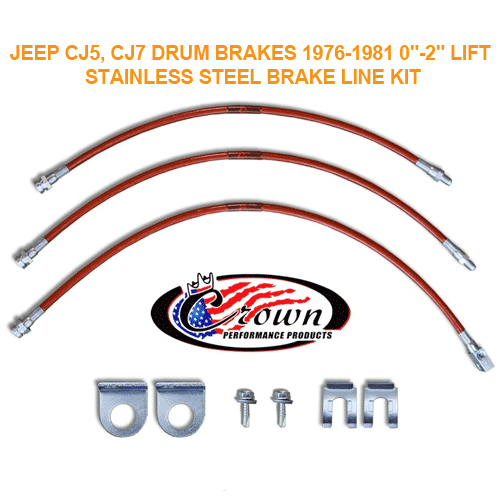 Jeep equipped with drum brakes work great as long as you Jeep your ride stock. 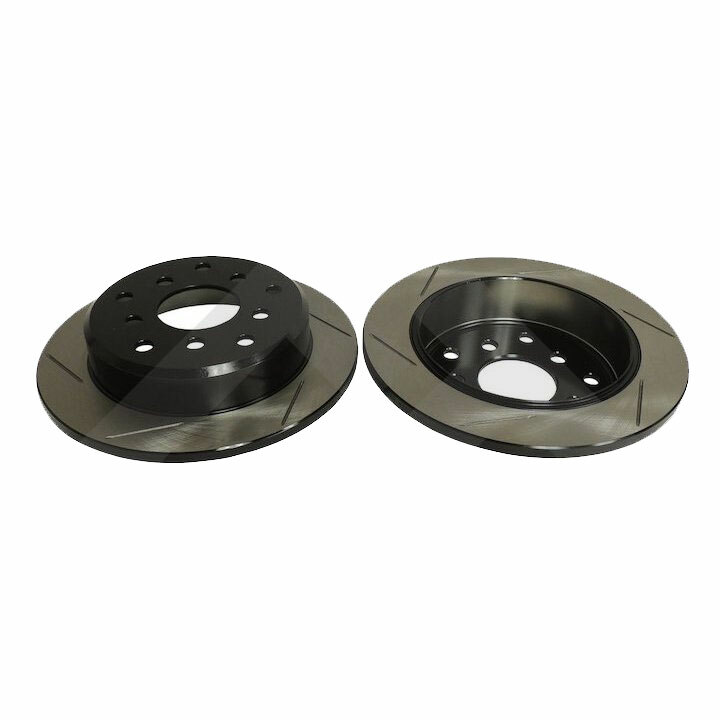 However, when you add heavy-duty aftermarket off-road bumpers or add bigger tires this also increase your vehicle weight thus making the drum brakes ineffective. 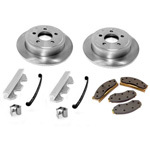 This is when your vehicle will require Jeep drum to disc brakes conversion so you can enjoy stopping power that matches extra vehicle weight. 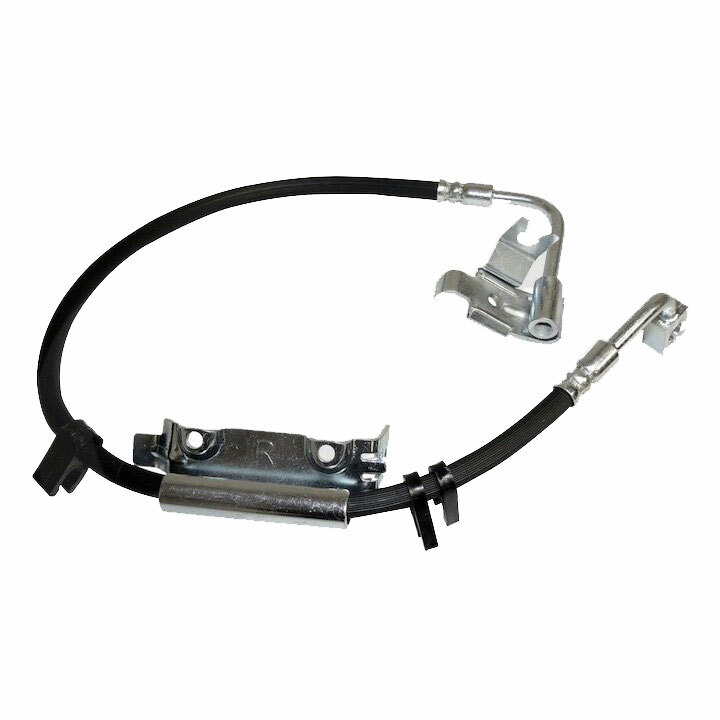 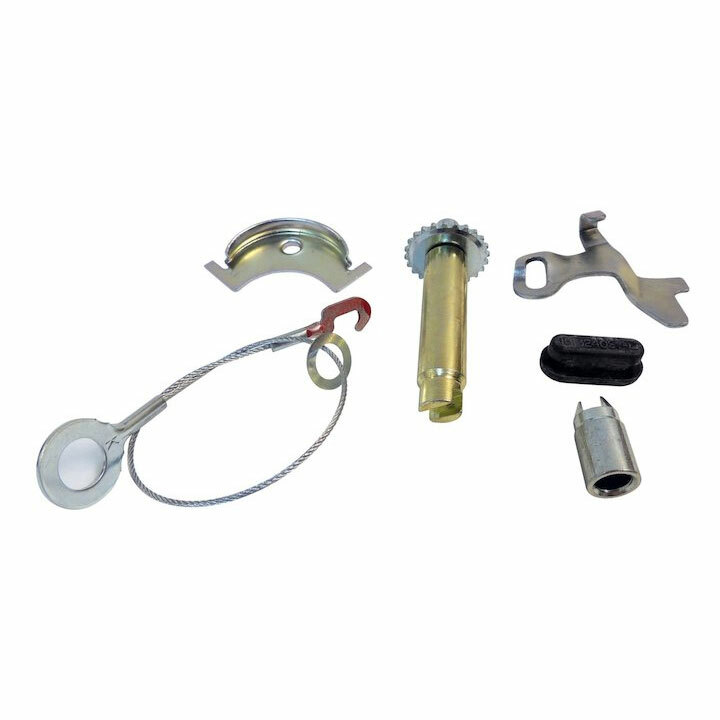 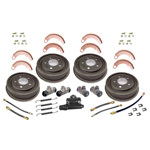 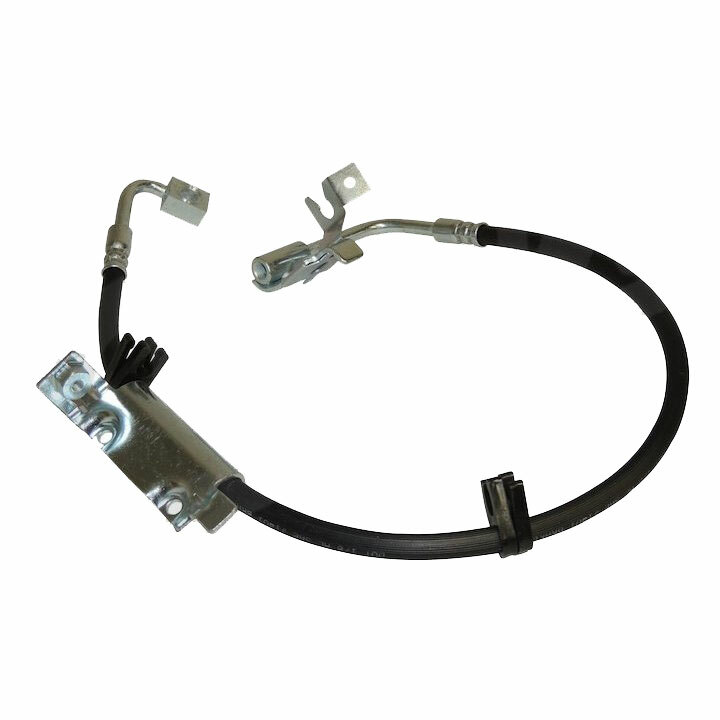 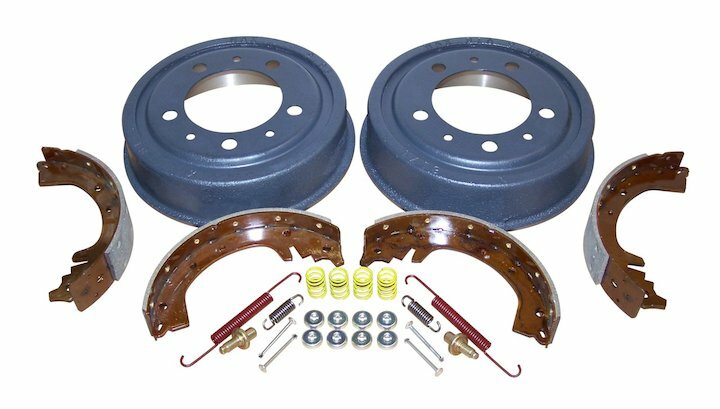 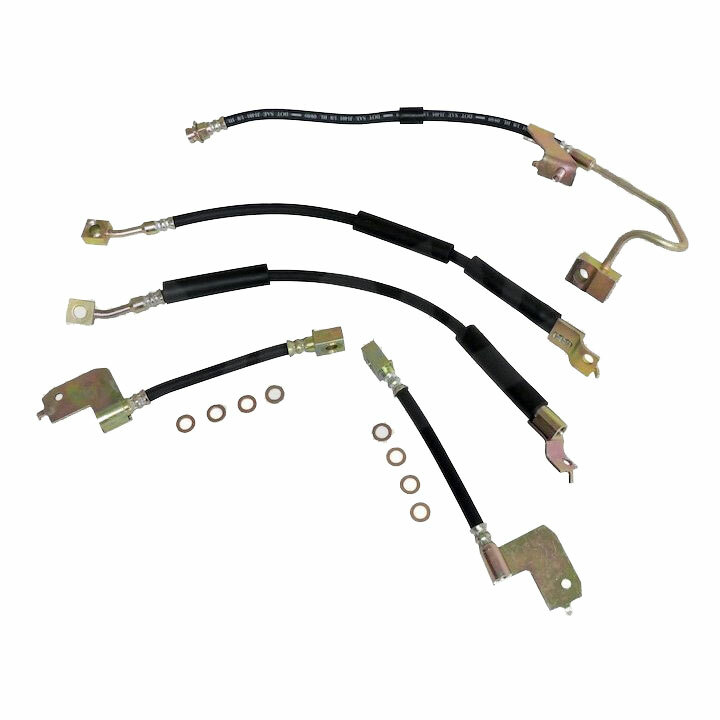 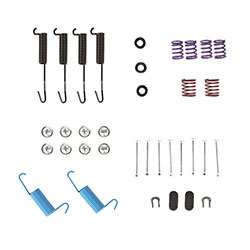 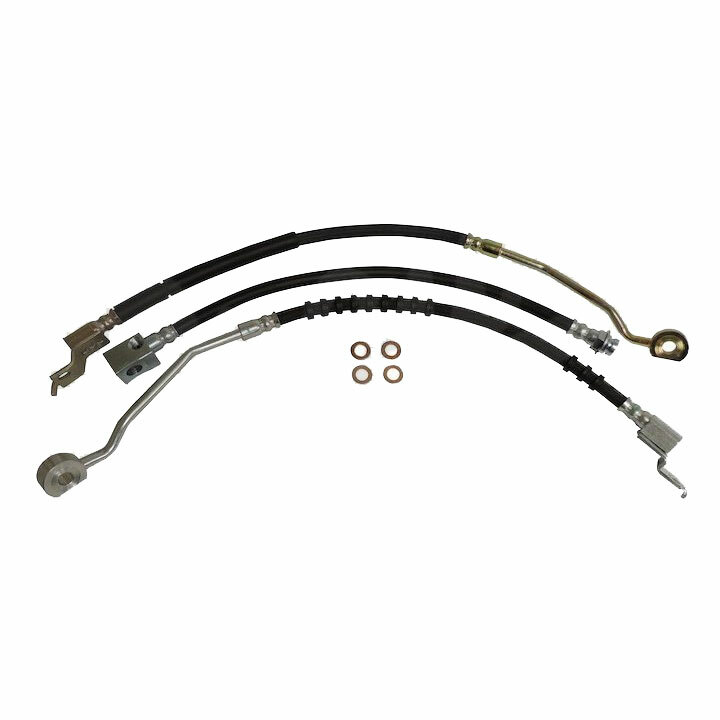 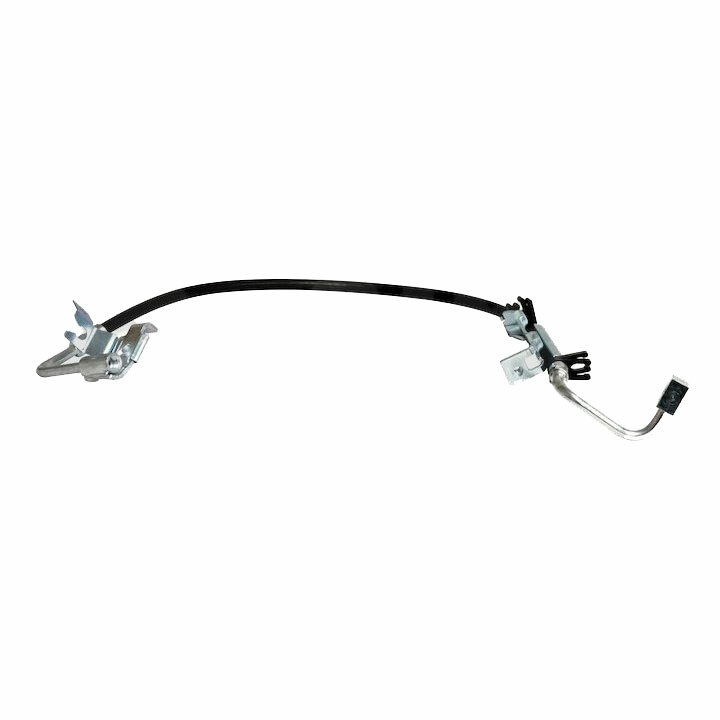 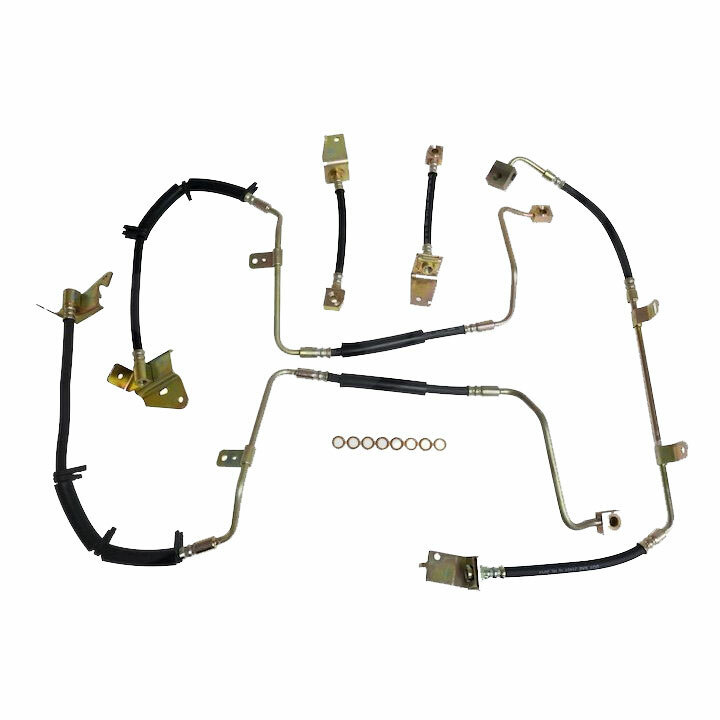 We offer complete kit which include Rotors, Pads, Calipers, Backing Plates, Parking Brake Shoes, Brake Hoses, Parking Brake Cables and Hardware.